Among camera pros, the “Canon vs. Nikon” debate is as eternal and as heated any Mac vs. PC smackdown. 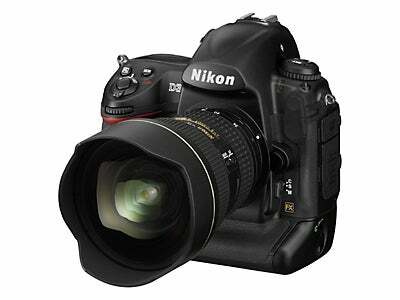 And, with Nikon’s release of the D3 and D300 D-SLRs, the war of words has picked up with renewed frenzy. If you’re passionate about this, it’s easy to be drawn into the discussion at an emotional level and lose perspective, but there are some rational voices adding to the mix. One of them is Michael Reichmann, a professional photojournalist who also runs the excellent Luminous Landscape site. He has just posted a lengthy and very well-written review of the Nikon D-SLRs. Subtitled “a Biased Evaluation of The Differences Between the Nikon and Canon Brands,” Reichmann talks more about usability, functionality and flexibility than he does about image quality, because, for many photographers, those are the important things when you’re shooting every day under vastly different conditions. He clearly notes that he's not “switching,” but he does give some serious props to Nikon’s efforts, and talks about why you might want to look at the advances in the D3 and D300. “Not to put too fine a point on it, but after being away from Nikon for the better part of a decade and having been immersed in the Canon gestalt since then, I was frankly surprised at the extent to which current Nikon cameras offer feature and function advantages over Canon. While some of the ones mentioned above may not be relevant to any one photographer’s needs, there are bound to be several which can be real productivity aids, if not just downright fun to have and use. As I’ve noted repeatedly—in the Lightroom vs. Aperture debate, for example—you need to find the best tool that works for you.